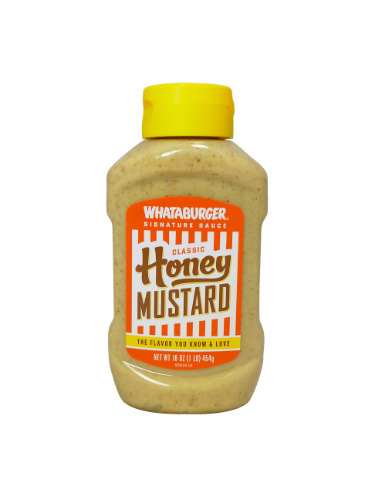 FRESH 20oz plastic bottles of the Texas legendary Whataburger Honey Mustard!! Perfect gift for any mis-placed Texans or for a friend! Whataburger Classic Honey Mustard is a match made in condiment heaven and boasts all the big, Texas flavor you know and love. Spread on top of sandwiches, burgers, and wraps, or use as a dipping sauce for fries, chicken nuggets, veggies and more.